Until a couple weeks ago, I had not heard of the Iron Belle Trail. Surprising, since it is 1273 miles long and I've already hiked most of it. It is Michigan's official state trail, extending the length of the state from Belle Isle in Detroit to Ironwood at the west end of the Upper Peninsula. 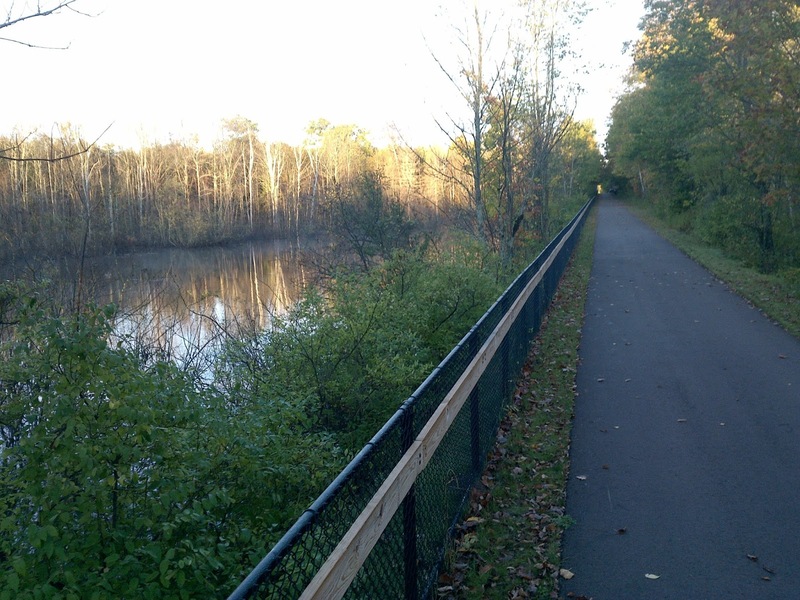 The reason I'd not heard of it is that the idea of an official state trail for Michigan is very new. The name was just announced in 2015. 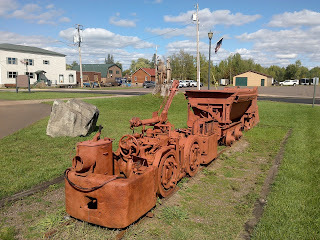 It is here in Ironwood where I finally saw the 'flesh-and-blood' manifestation of trail by that name. Here it's a brand new paved bike trail--less than a year old and so new it doesn't (as of the time of this writing) even show up on the Google Map satellite view. 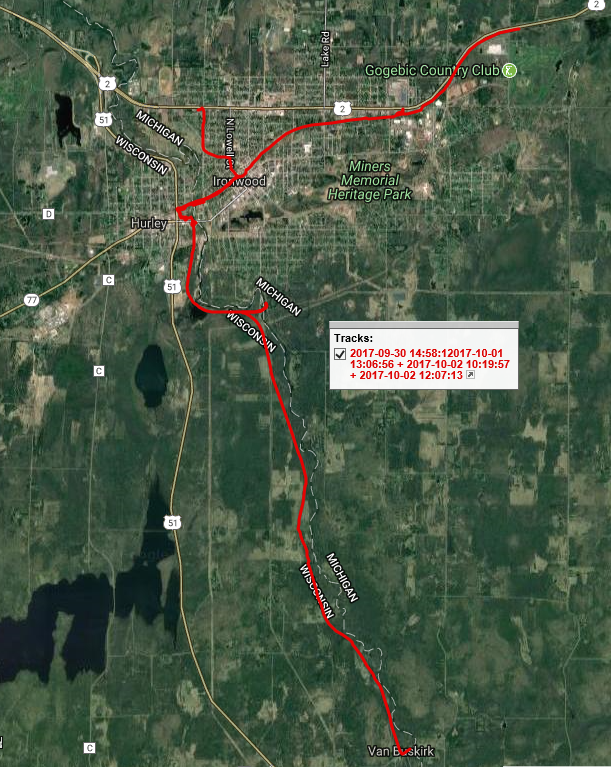 Here is the proof of that--a close up of the Google Map view of the Siemens Truss Bridge and a beaver pond, and then the 'ground truth'. The image is copyright 2017 - I estimate it was captured in late 2016 or early 2017 based on the deciduous trees being bare of leaves. 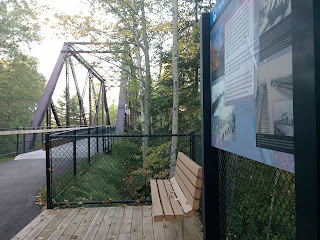 This bike trail into Ironwood is *not* part of the North Country Trail, but the vast majority of the designated hiking route of the Iron Belle trail is indeed coincident with the NCT, so, as I said, I've been hiking it for months without knowing it. 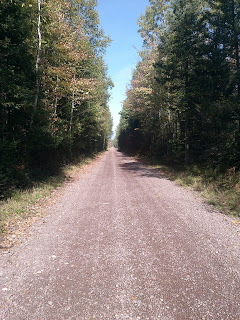 I was even hiking it (the separate bike route) when I deviated from the NCT to hike the North Central Trail in northern Lower Michigan. 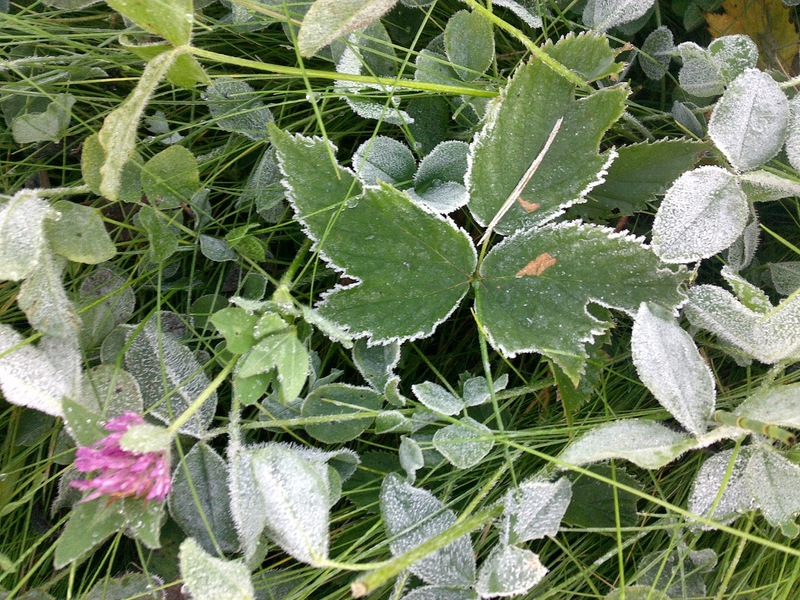 It was a frosty morning when I hiked this converted rail bed into Ironwood. 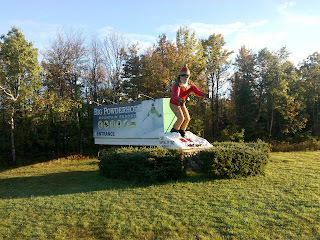 Before hitting the new rail trail, I had to finish a road walk past Powderhorn Ski Area. 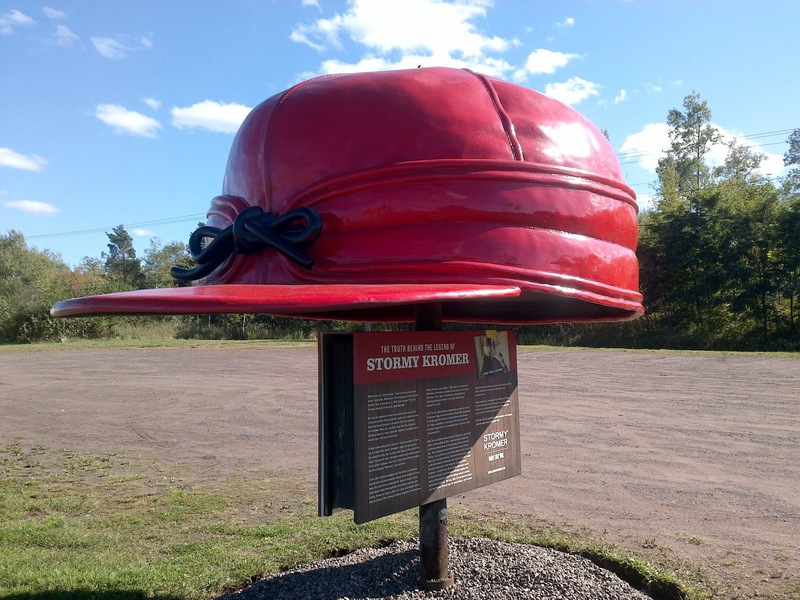 On the other end, heading into Ironwood, the trail passes the Stormy Kromer Hat factory with its giant ball cap advertising. I would make this my hat number 92 if only the things weren't so expensive - $45 a pop. 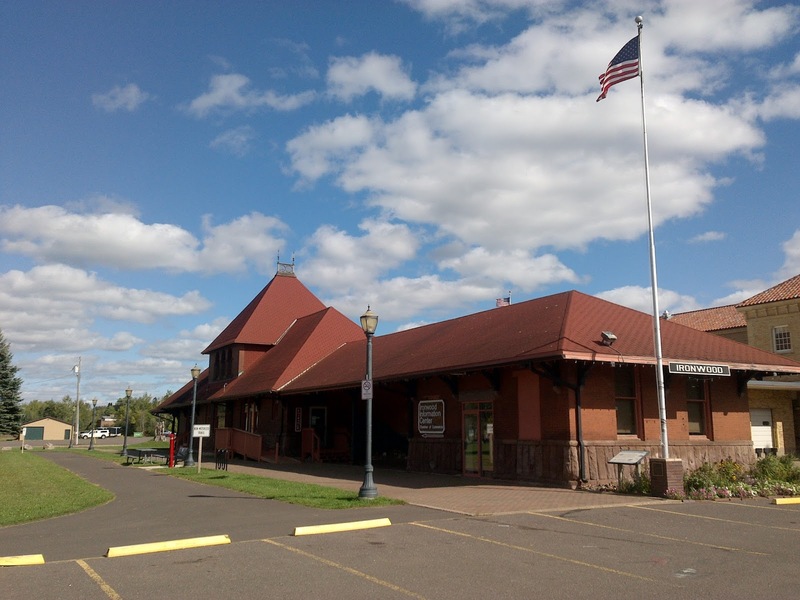 Then near the end, in downtown Ironwood, the trail passes the old train depot building, now an information center with displays honoring iron mining and the lumber industry. 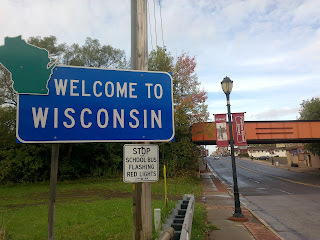 I crossed into Wisconsin--the twenty-third US state or district (Columbia) that my footprints have connected. The old railroad bridge in the shot above is the route of the 'Corridor 17' trail. 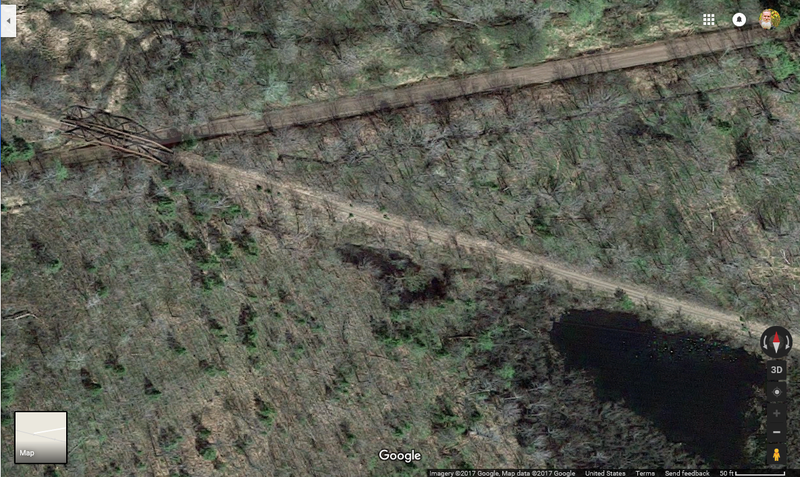 This is an ATV and Snowmobile trail. 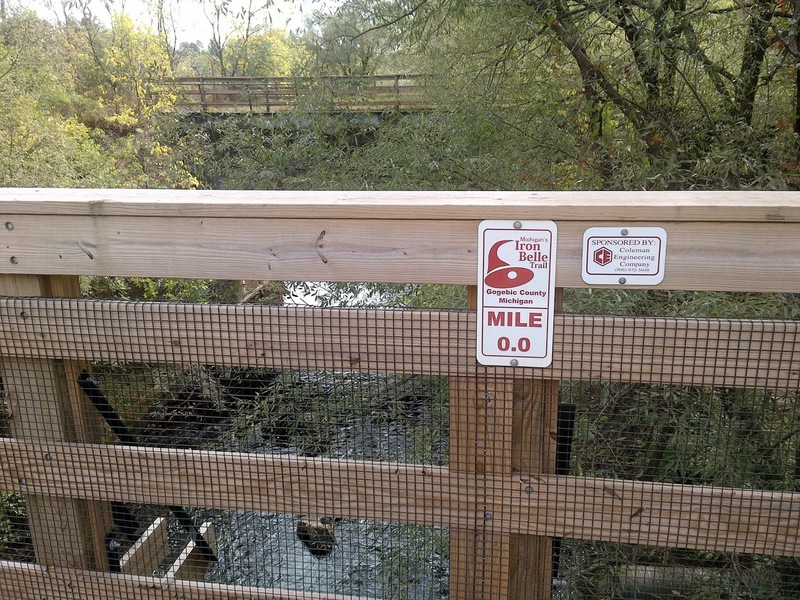 Other motor vehicles are prohibited and hikers are most welcome. 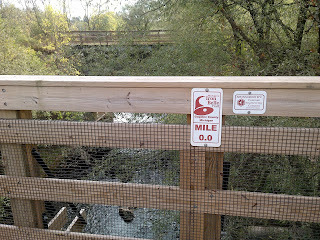 I had zero road walking to get to it. 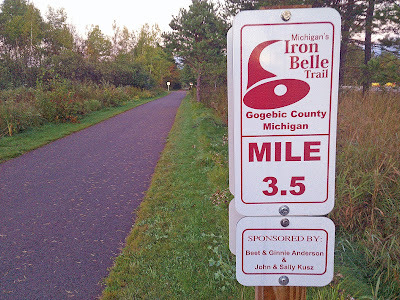 It literally passes right by the bridge from Michigan that the Iron Belle Trail uses, and it will start me south into Wisconsin toward the Ice Age National Scenic Trail and on to my next destination--my birthplace at Madison General Hospital. 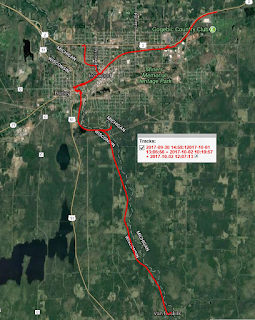 Here's the composite GPS track of my departure from Michigan via the Iron Belle Trail and my start into Wisconsin. I've fashioned a route through Wisconsin that covers a half dozen of the state's major trails and is rich in personal and family history. Beside my birthplace and my first residence, I'll pass the farmstead of my Great Great Grandfather, who immigrated to Wisconsin in 1852 and lived to be 101 years old. I'll visit the homes of both sets of grandparents, just two doors apart; and hopefully I'll walk by some of my father's boyhood homes. Most of that will probably happen next hiking season. 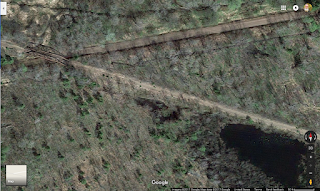 But before this year is over I'll be visiting the Wisconsin north woods lake that was our family's regular vacation spot all through my childhood--a place full of powerful memories for me. That's just 50 or 60 miles away now. Stay tuned.